1) I heard positive things about JIQ, but why should I enroll my children in the school when I have so many other fine, public school districts surrounding my community? A good secular education that prepares young minds for the competition is a necessity in today's world, and we offer that, but we offer something more. Our academy is imbued by Jewish values. These permeate the entire campus, from its innovative buildings to the staff and to the students themselves. They are taught and exhibit the warm, positive qualities to encourage them to persevere and excel while simultaneously to show respect and kindness for others. The teachers and administrators - not all of which are of the Jewish faith - understand the importance of values-based education. From preschool through eighth grade, the teachers give warm, individual attention to every student. We also offer our students a rich understanding of their Jewish heritage which generates in our students a rich blend of knowledge. Additionally, we understand the importance of creating a community for our students and their parents. 2) I know that Judaic values are important, but I want my children to excel in the outside world. 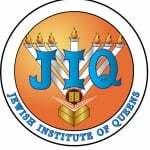 How does JIQ prepare them for the competition to get into Ivy League and other high-quality universities? The school has instituted yearly aptitude tests based on national, academic standards. In addition, the school's academic goal is not merely based on meeting national standards, but using those standards as a springboard to surpass and exceed the common goal. Many of our students have gone on to compete successfully at schools throughout the nation and at high-level colleges. But all our alumni can tell you that the values they learned at JIQ is what helped them succeed. 4) How effective are the Ivrit classes? It has been proven that students must be immersed in a language in order to learn it well. Our TAl Am Curriculum provides our students with a rich Hebrew Immersion program they have come to love. Our students spend a great deal of time conversing, writing and reading modern-day Hebrew as spoken in Israel. Our teachers are certified in Hebrew school instruction. They understand the importance of teaching language in context. Our goal is that our children eventually speak only in Hebrew in their Judaic classes so that the knowledge of the language's structure and grammar becomes ingrained in their minds. With this goal in mind we begin our Hebrew immersion program already in first grade. We also offer a hebrew resource room for students struggling to keep up with the Ivrit level, as well as enrichment for students who are ready to take their hebrew to the next level. 5) What if my child is coming into the school at a later grade? Will he or she be able to fit in or even understand the Judaic component of your program? We encourage every child at JIQ to feel as if they are a larger part of an extended family, we have special one-on-one tutoring classes to bring children up to speed.